Today was a travel day for us. 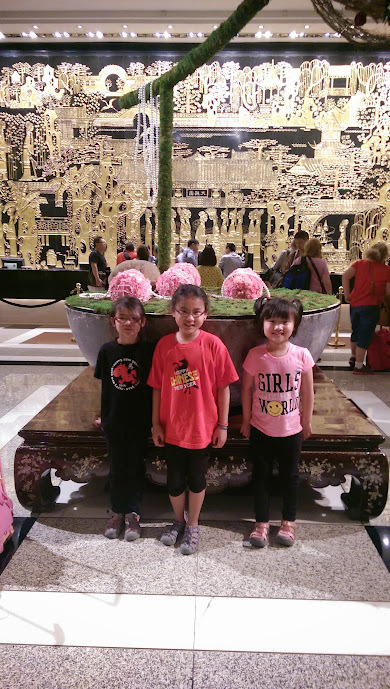 It was also a figuring-out-where-I fit-in kind of day for our girls. But that's not a bad thing necessarily. We started the day with a hearty breakfast, again...and Gia opened up to us a little bit more. Her smile, which I find myself constantly looking for, certainly does light up a room. But I noticed something else about it...it has dimples attached to it. 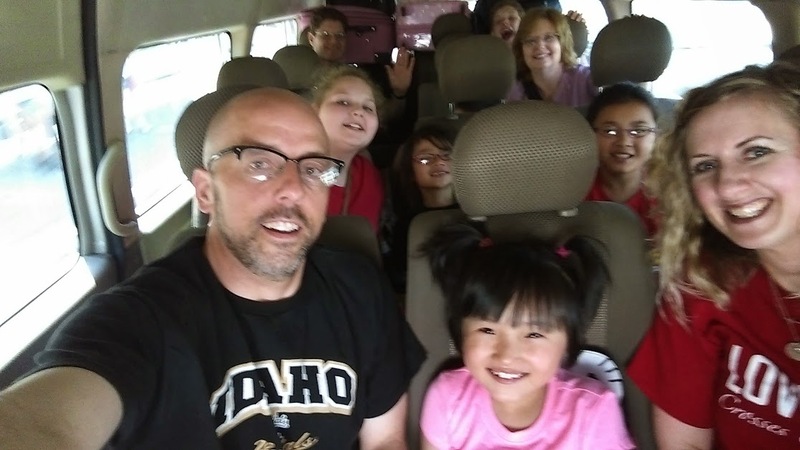 We packed up all our belongings after breakfast and met Helen to check out of our hotel. Saying goodbye to Helen was harder than I thought it would be. 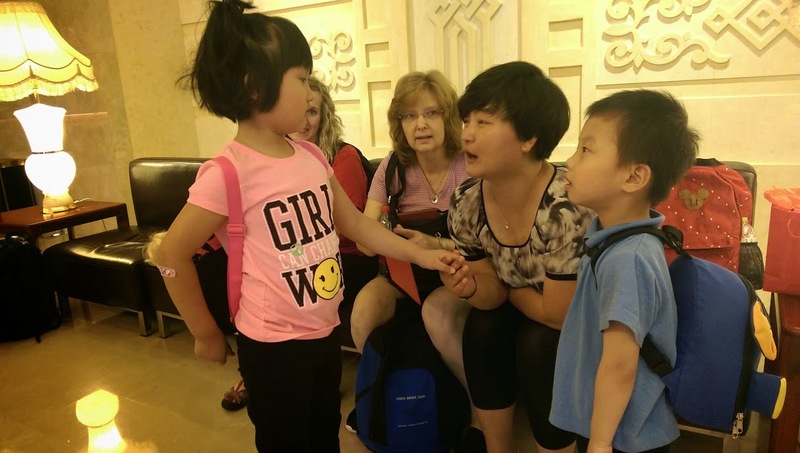 We had been able to see her heart for the children at Shijiazhuang. 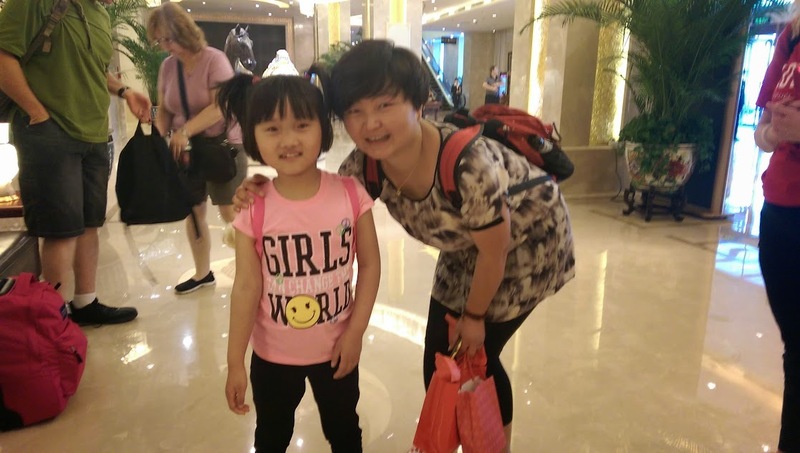 She was so happy about the fact that out of the 14 children she hand picked from the Shijiazhuang Social Welfare Institute for adoption, 13 of them have been matched with families. She explained to us some of her visits to the swi and how she just wants to hold all the children and see them all get adopted. She is an amazing woman. It is customary to give personal gifts to your in-country guides. 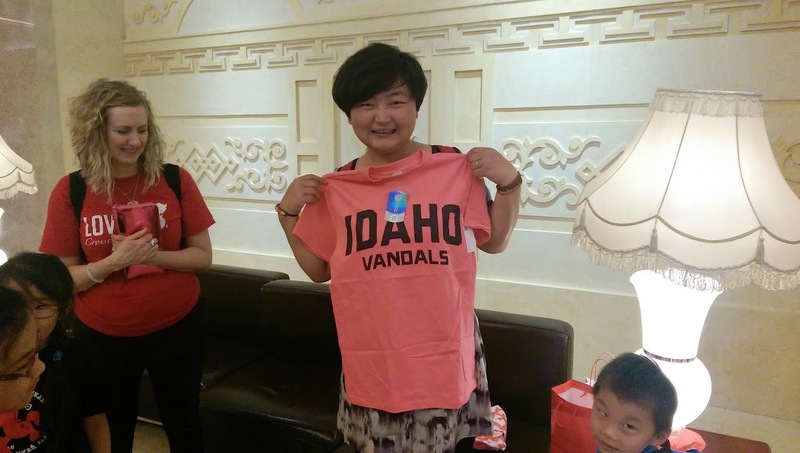 We brought along a little Vandal pride. You've gotta represent no matter where in the world you are, right? 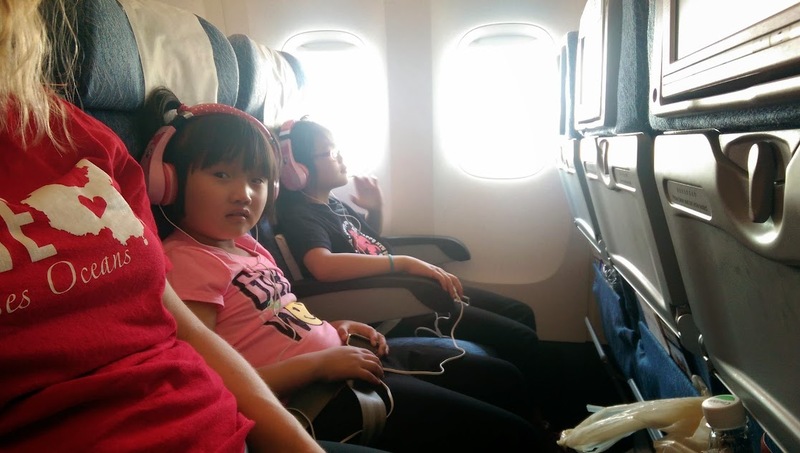 So, the bus ride to the airport and the plane ride we're weighing heavily on our minds for Gia Chunyu's sake--carsickness. We put a patch on her early in the morning, and we gave her a Dramamine pill about 45 minutes before we got in the bus. It worked! She took a little snooze in the bus to the airport, and she LOVED the plane ride! It was even quite bumpy, but I put some headphones on her, turned on the in-flight entertainment system in Chinese, and she was off. She pulled the tray table down and rested her elbows on it and watched cartoons that way for a while. The last hour or so of the flight she slept again. All that medicine made her drowsy! Then we took a bus from the airport to our new hotel, and this time it was a big bus, like a small school bus. Much less bumpy. She did great on that ride, even though her medicine was probably worn off at that point. After checking in and unpacking some stuff (we'll be here for a full week), we took the Gs to McDonalds. I know, I know. But sometimes a traveling family needs a little taste of home, you know? And to see Gia Chunyu's face light up when she saw those chicken nuggets...well, let's just say those dimples are game changers. While we were eating, Gemma Lu seemed a tad out of sorts. 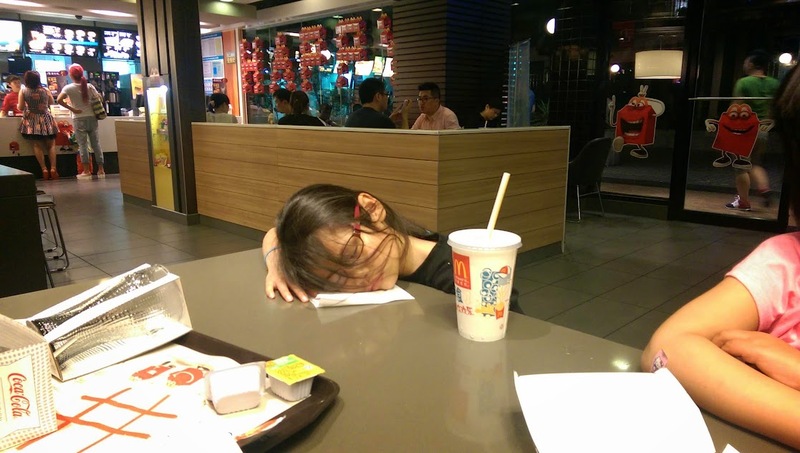 She didn't eat much, and then she laid her head on the table in the middle of McDonalds. I thought maybe she was getting sick or just over tired ( and that was part of it). But Simon and I think that she's kind of trying to find her place in this family. Especially now, when mom and dad have to give so much attention to Gia Chunyu. Gracie understands a bit more, having gone through it once before. We just have to keep giving extra doses of love and grace to ALL our Gs. This adoption road is not without bumps. After McD's, we ventured a few blocks to an Aeon store. This place has EVERYTHING you could possibly want. We got: laundry detergent (yes, we have a washer/dryer in our apartment! 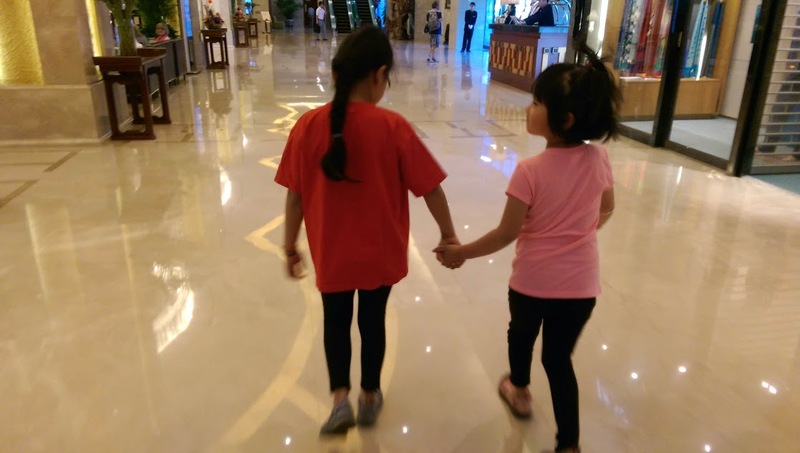 ), crackers, bottled water, cold cans of Coke, Oreo cookies (which Gia Chunyu practically gurgled with joy over when she saw them...she even said "O-r-e-o" all on her own), M & M's (which brought an equally strong reaction to Gia's face), and some gum. Since it is so hot and steamy here, and since the Gs were SUCH good travelers today, and since, well...do we really need a reason? 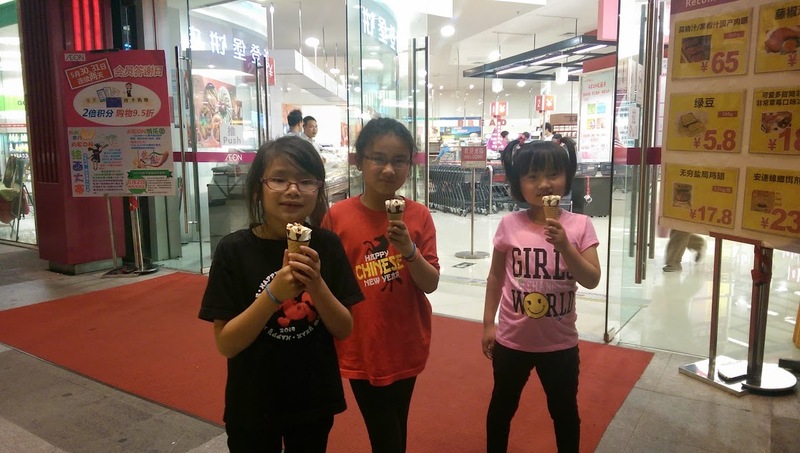 We also bought ice cream cones. So we walked and licked ice cream on the way back to our hotel. 1. 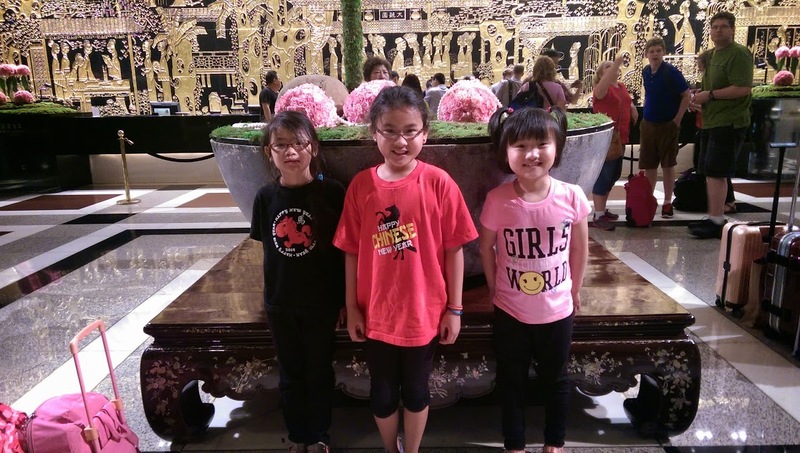 Please pray for continued bonding for the 2 of us with Gia Chunyu and for the 3 Gs to bond. 2. Please pray for the 2 Gs (Gracie and Gemma) to feel peace about having their new sister join our family and to know how much mom and dad love them. Thank you so much for all your prayers of support and words of encouragement. We love you all!! Thinking of you at the Garden and walking to McD's and Aeon just brings it all back to me. We were there exactly a year ago. LOVING all the updates and photos Simon and Amy!!!!!! Hi g1, g2 and g3, auntie sarah loves u and misses u!!!!!!! !